You pick the jingle you like. (60+ available). Then we Customize the lyrics for you and re-record them, subject to your approval. Enjoy No-Risk, Guaranteed professional Jingle Production. Created and produced by award-winning* composer Jack Waldenmaier, all these jingles are already hard at work in local and regional broadcast markets throughout the United States and Canada. These are distinctive, memorable tunes, imprinting the advertiser’s name in the mind of the customer and they REALLY WORK to generate sales. You receive a complete jingle package, including sing-ins, sing-outs, donuts, and alternate mixes in both 30-sec & 60-sec versions, fully prepped and mastered, ready for immediate use in your TV spots and radio commercials. Do I get my money back if I don’t like it? That’s the best part. There’s absolutely no risk because you can already hear what the jingle sounds like before you order. The only difference will be the customized lyrics which you get to approve before any payment is made. What does “Exclusive to your market” mean? 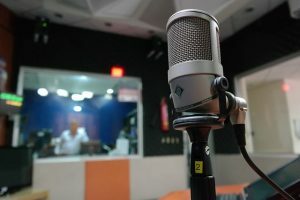 Market exclusive means that the theme you choose for your jingle will not be sold to another advertiser in your local area or broadcast market. This way, your jingle identity remains exclusively yours. Each “market” is a designated Arbitron metro survey area (or 25 miles from your antenna if you are not in an Arbitron defined market). Exclusivity only extends to a station’s main signal for one year and does not include translators or the Internet. What is a Donut? What are Sing-Ins and Sing-Outs? What’s a Bed? A “Donut” is simply a jingle with the singers omitted from the middle portion. A “Sing-In” has singing only at the start of the jingle and a “Sing-Out” has singing only during the final portion of the jingle. 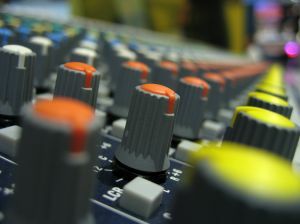 A background track or “Bed” has no singing at all, and is used to accompany an announcer (voice-over). What is The Music Bakery? The Music Bakery is a library of production music composed and produced by Jack Waldenmaier, it’s president and executive producer. Jingle Image is a subsidiary of Music Bakery Publishing (BMI) and all jingle orders are processed by The Music Bakery’s accounting department. Jack Waldenmaier currently serves as President and Executive Producer of The Music Bakery, a leading royalty-free production music library in the United States, producing music for film and television, corporate image campaigns and commercials with distribution worldwide. 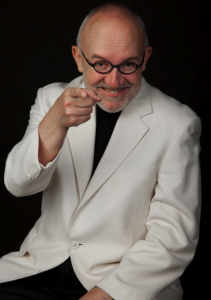 His awards include the Raymond Hubbell Prize in composition, awards from BMI and ASCAP, commissions from the Ohio Arts Council, the International Society for the Double Bass, the Voices of Change Modern Music Ensemble, Paul Kowarsky and Emanar Productions, Southern Methodist University, the Dallas Civic Orchestra, the Contemporary Music Ensemble, the Gardner Dance Troope, the Dallas Shakespeare Festival, among others. Formerly a professor of music composition and theory on the faculty at SMU, Jack Waldenmaier holds a Doctor of Musical Arts degree in Music Composition from The University of Cincinnati’s College-Conservatory of Music. OK, already… How much does it cost, and How do I Order?